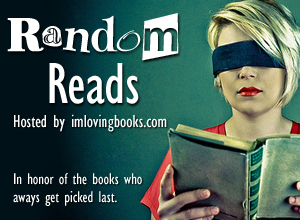 It's time to select my Random Read for March! Yay! Last month, my Random Read was The Hollow Tree by Janet Lunn, and I did read it in February, so I'm succeeding in this challenge so far! So it's off to the random number generator. I have 668 books on my TBR shelf at the moment (up from last month thanks to a huge shopping spree at the Children's Hospital Book Sale! ), so I enter 1 as the min and 668 as the max, and hit Generate. For March's Random Read I'll be reading John Dies at the End by David Wong. It's been on my TBR shelf on Goodreads since February 2011, so not too long, relatively speaking. It's one of those books I just picked up randomly because it looked interesting, and then never got around to. Time to give it a shot! I'm also going to double this one up as March's Read Your OWN Library! Challenge book, because I'm doing the Review Copy Cleanup this month, and will therefore be short on reading time for old books. I haven't heard of this book before, but I hope you enjoy reading it. Congrats on succeeding with the chalange I only managed to read 1 out of 3 books so far. I hope I get around my RR this month. This one is new to me. The synopsis on Goodreads sounds quite interesting. I will be reading mine as part of the TBR Pile challenge. I've gotta get some books off of my growing lists and piles. But unfortunately or is it fortunately - they keep growing!!! That's what this meme is perfect for, those random books that sound cool at the time, but never quite make it to the top of your priority list. :) I hope you enjoy your pick!